Insights / Webinar: Cloud To Transition, or Cloud to Transform? Webinar: Cloud To Transition, or Cloud to Transform? 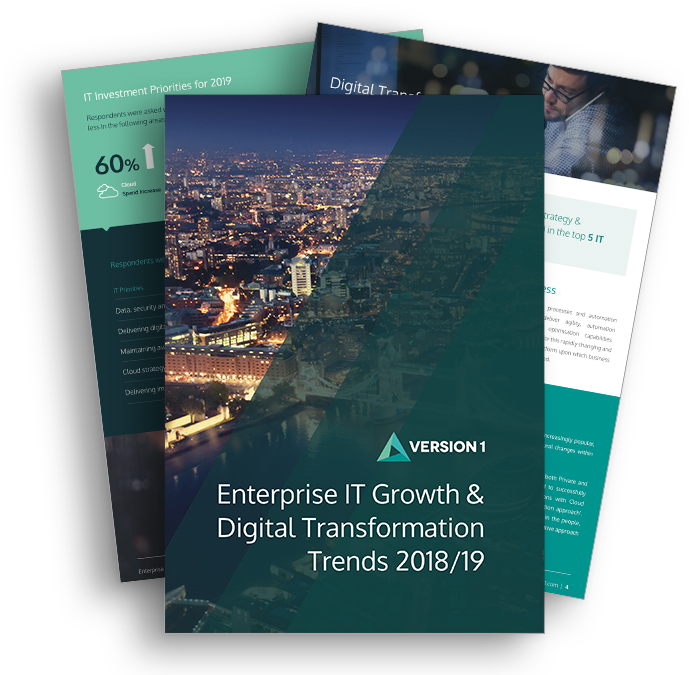 From our experience at Version 1, enterprise organisations are often very aware of how to achieve short-term benefits of Cloud, such as a reduction in hosting costs and moving away from datacentres to virtual hosting. However, many decision-makers are not as familiar with some of the more transformative capabilities of cloud, organisational impacts, and what will be required along that journey to access more strategic Cloud Transformation business benefits for the longer term. In this webinar we discussed how an organisation can position itself to for those changes, considering basics such as the skills required, but more fundamentally, rethinking the IT organisation structure to adapt to continuous change to accelerate transformation through software as a service alongside public cloud platforms that will allow them to innovate and future-proof their organisation. You can view this webinar by filling in the adjacent form. Version 1 provides the full range of services for enterprise applications in the Cloud. Our expertise extends beyond the Cloud, with over 20 years enterprise application experience. Enhanced partnerships with three leading Cloud vendors guarantees the right solution for our customers. Cloud Managed Services taken to the next level with a focus on continual improvement and optimisation.